LX313/LX248 Liner Lock Folding Knife. Liner-lock locks blade in place as blade opens. One-handed opening and ambidextrous opening. 3Cr13 stainless steel and pocket clip. Fiberglass filled nylon handle + frame. Designed with safety and accessibility in mind, this Quick-Release Retractable Utility Knife from Husky is made from a durable cast aluminum frame with integrated cushion grip. The quick release blade design makes changing blades fast and safe without the use of any additional tools. Each knife includes 3 blades. The Milwaukee Fastback Smooth Folding Knife features Press and Flip, a one handed blade opening for easy activation and activates the blade up to 3X faster than a 2-handed opening. The stainless steel blade features a strong lasting sharp edge. The Piercing Tip allows for controlled piercing and smooth cutting. The QEP Diamond Blade Sharpening Stone is designed to help remove buildup on diamond blades that decreases cutting performance over time. Cutting into the QEP Diamond Blade Sharpening Stone assists in exposing fresh diamonds located in the rim of the blade, maximizing blade efficiency and cut quality. Compact and small enough to take with you to every project. LX313 and LX248 Liner Lock Folding Knife LX313/LX248 Liner Lock Folding Knife. Liner-lock locks blade in place as blade opens. One-handed opening and ambidextrous opening. 3Cr13 stainless steel and pocket clip. Fiberglass filled nylon handle + frame. 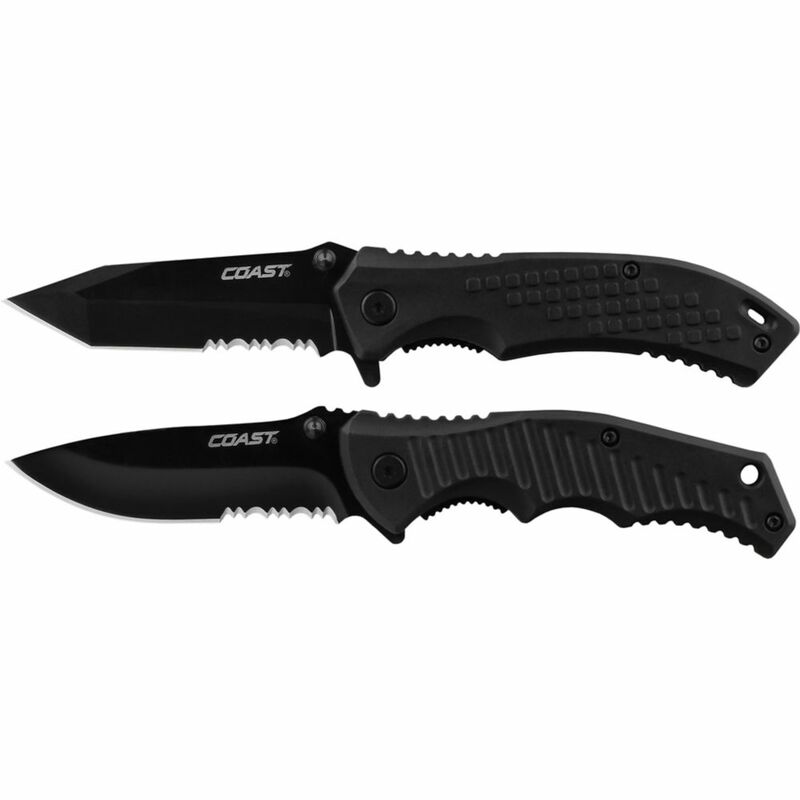 LX313 and LX248 Liner Lock Folding Knife is rated 5.0 out of 5 by 2. Rated 5 out of 5 by George from Knives are on point! Could not be happier with my purchase. I have bought other Coast knives before, so I knew I would not be disappointed. Most knives could use a good sharpening after purchase, Coast knives do not require sharpening. I will be keeping an eye out for more of these great deals. How long are the blades in inches?